I've been connecting with a group of social entrepreneurs from around the world in a Facebook group. Their aiming to build a project during Jellweek2012, which will be January 16-22, 2012. The map below shows project locations around the world and is another demonstration of how mapping can be used to connect people and create understanding. While I've been contributing ideas to the group on Facebook I've also been reaching out to mentoring networks around the country as well as my peers in Chicago because January is National Mentoring Month. A map like this could be a platform for people from different places to show where they participated in a tutor/mentor program. It could also be a tool that existing programs could use to show where they operate. To learn more about Jellyweek, click here. 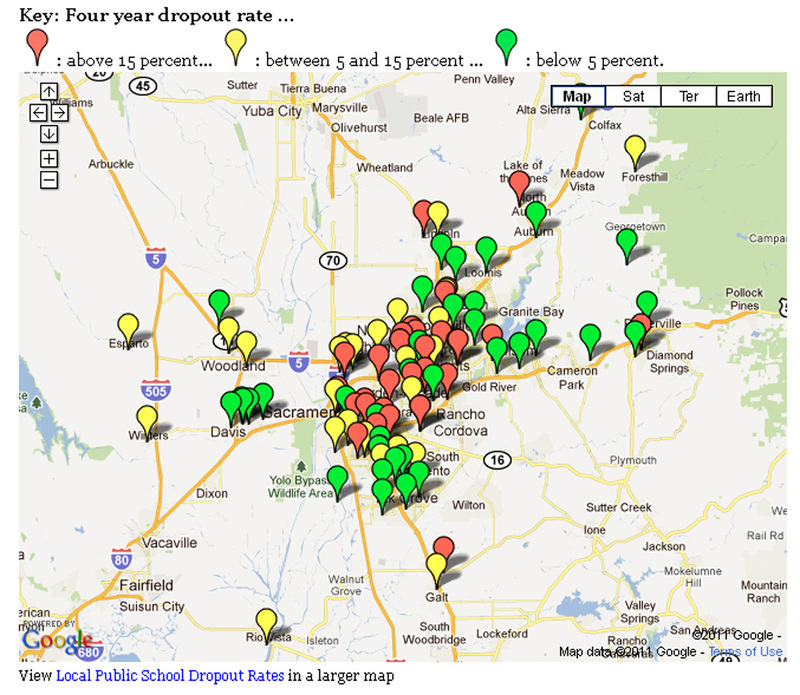 This map shows high schools with high drop out rates in Sacramento, CA. It comes from this web site. We've been creating maps of poverty and poorly performing schools in Chicago since 1993 as part of a 4-part strategy aimed at helping volunteer-based, mentor-rich, non-school youth programs grow in high poverty neighborhoods. This Tutor/Mentor Connection web site was built by the technology department of IUPUI in Indianapolis, as part of an effort to help the T/MC strategy grow in that city. As we look to the next five years we've created the Tutor/Mentor Institute, LLC to support the growth of the T/MC and our mapping project in Chicago. However, our goal is to build partnerships with non-profits, businesses and universities in other cities, that enable us to share our ideas and technology as part of organizations led by leaders in these cities. Such partnerships provide local ownership and funding to support local actions, but provide revenue and fees to the Tutor/Mentor Institute, LLC to support what we do in Chicago and the way we manage this web library and share it at no-cost to others around the world. If you can help develop this strategy please review the planning wiki and contact Dan Bassill via Linked in, Twitter, Facebook, or Skype. This is an article showing Digital Mapping approaches that appeared on the Georgetown Commons. If we can attract the attention of universities and companies already committed to mapping perhaps we can find partners, volunteers and investors to build our own mapping capacity and role it out to cities all over the world. I hosted a 38th Tutor/Mentor Leadership & Networking Conference in Chicago this week. As with every conference I showcased some of the maps that Tutor/Mentor Connection created in past years. This image shows the home page of a Map Gallery that Mike Trakan created to shows maps he created from 2008 through March 2011 while we had the money to have him as part of the T/MC paid staff. This PDF shows how Chicago area volunteer-based tutoring/mentoring programs can add or update their information in the Program Locator. 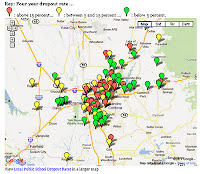 This PDF shows how youth and volunteers, or development officers in non profits, can create their own maps and embed them in blogs or grant requests. 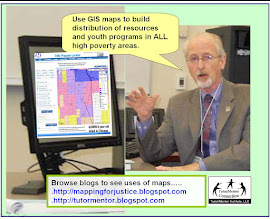 This PDF describes how youth interns and volunteers can use maps to build greater public attention and more consistent support for tutor/mentor programs.